Lirong Xia is an assistant professor in the Department of Computer Science at Rensselaer Polytechnic Institute (RPI). Prior to joining RPI in 2013, he was a CRCS fellow and NSF CI Fellow at the Center for Research on Computation and Society at Harvard University. He received his PhD in Computer Science and MA in Economics from Duke University. His research focuses on the intersection of computer science and microeconomics, in particular computational social choice, game theory, mechanism design, and prediction markets. He is an associate editor of Mathematical Social Sciences and is on the editorial board of Journal of Artificial Intelligence Research. 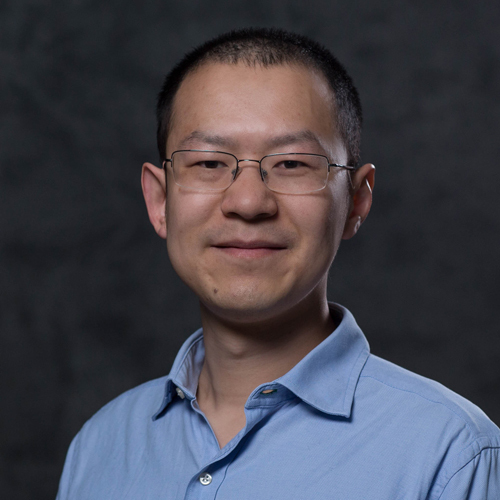 He is the recipient of an NSF CAREER award, a Simons-Berkeley Research Fellowship, and was named as one of "AI's 10 to watch 2015" by IEEE Intelligent Systems. Zhibing Zhao, Peter Piech, and Lirong Xia. Learning Mixtures of Plackett-Luce Models. In Proceedings of the 33rd International Conference on Machine Learning (ICML-16). Erika Mackin and Lirong Xia. Allocating Indivisible Items in Categorized Domains. In Proceedings of the 25th International Joint Conference on Artificial Intelligence (IJCAI-16). Lirong Xia. Quantitative Extensions of The Condorcet Jury Theorem With Strategic Agents. In Proceedings of the Thirtieth AAAI Conference on Artificial Intelligence (AAAI-16). Lirong Xia. Generalized Decision Scoring Rules: Statistical, Computational, and Axiomatic Properties. In Proceedings of the 16th ACM Conference on Electronic Commerce (EC-15). David Hughes, Kevin Hwang, and Lirong Xia. Computing Optimal Bayesian Decisions for Rank Aggregation via MCMC Sampling. In Proceedings of the 31st Conference on Uncertainty in Artificial Intelligence (UAI -15), pp. 385-394, Amsterdam, The Netherlands, 2015. Ethan Gertle, Erika Mackin, Malik Magdon-Ismail, Lirong Xia, and Yuan Yi. Computing Manipulations of Ranking Systems. Proceedings of the 14th International Conference on Autonomous Agents and Multiagent Systems (AAMAS-15). Jessica Davies, George Katsirelos, Nina Narodytska, Toby Walsh, and Lirong Xia. Complexity of and Algorithms for the Manipulation of Borda, Nanson and Baldwin's Voting Rules. Artificial Intelligence 217:20-42, 2014. Hossein Azari Soufiani, David C. Parkes, and Lirong Xia. A Statistical Decision-Theoretic Framework for Social Choice. In Proceedings of the Annual Conference on Neural Information Processing Systems (NIPS-14). Lirong Xia. Computing the Margin of Victory for Various Voting Rules. In Proceedings of the 13th ACM Conference on Electronic Commerce (EC-12), pp. 982-999, Valencia, Spain. Hossein Azari Soufiani, David C. Parkes, and Lirong Xia. Random Utility Theory for Social Choice. In Proceedings of the Annual Conference on Neural Information Processing Systems (NIPS-12), pp. 126-134, Lake Tahoe, Nevada, USA.